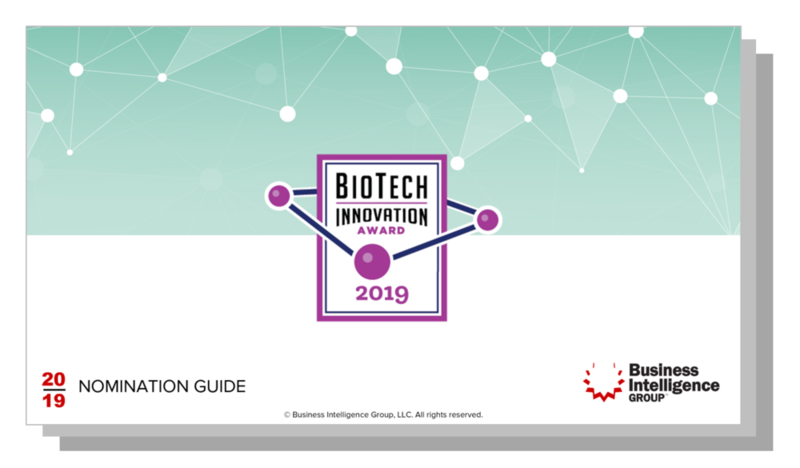 Are you innovating in Biotech? According to some, the biotech industry could be described as “Wall Street's roulette wheel.” The odds of succeeding are slim, with many developers losing money and looking to simply get their first drug approved. However, for those that do make it, the return on investment can be massive. Needless to say, recognition is always a challenge. The goal of our program is to highlight, discuss and reward the creative thinking, science, people and projects that are taking on this challenge for the benefit of the global community. Nomination are due May 17, 2019 with winners notified June 24, 2019. Complete the details below to get your copy of the 2019 Nomination Guide when it is available. Learn more about our panel of experts who volunteer to judge nominations. Awarded to an organization whose culture, products, and people are consistently delivering innovative solutions for their community and customers.